I am THRILLED to be guest designer this month for Samantha Walker. Let me introduce myself to all the new friends that may be visiting the blog today. My name is Kerri Smith. My little blog is Craft Time and Cupcakes. I am wife to my retired Air Force husband and mommy to two beautiful princesses, ages 4 and 5. I am a Southern California girl living the Vegas life and I love it! I have always been a creative person. I love every type of craft imaginable. 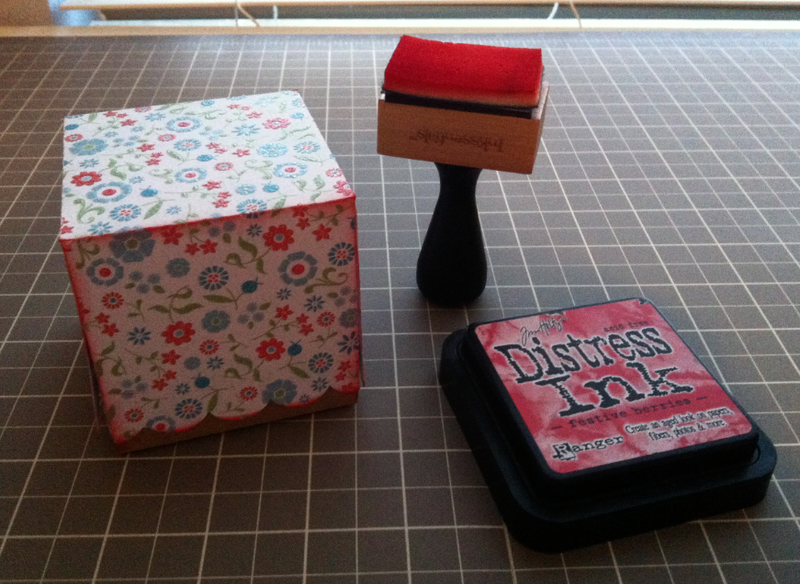 I am a scrapbooker, baker, party planner, and I'm beginning to work more with fabric too. I would say my crafting style is a little bit country, a little bit cutesy, and a lot of fun. I believe projects should be quick, simple, and stunning. I was so happy working on my project for today.......so let's get to it! I'm sure that many of you with a Silhouette love to shop Samantha's cutting files as much as I do. For today's project I decided to do something that sticks with the theme of my blog.......A cupcake box! 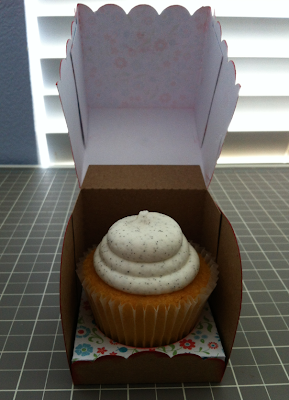 I used the Cupcake Scalloped Box cutting file. 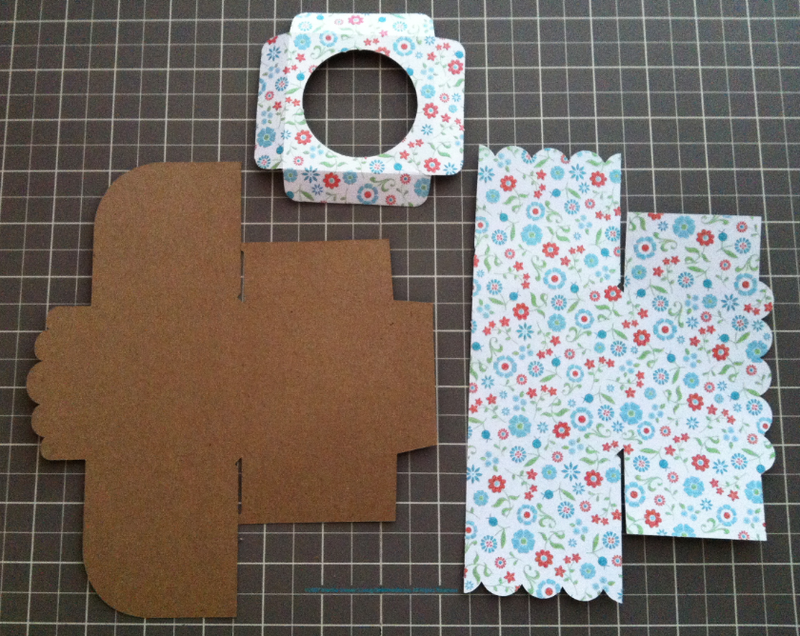 I cut the pieces from craft cardstock and a blue and red floral cardstock. 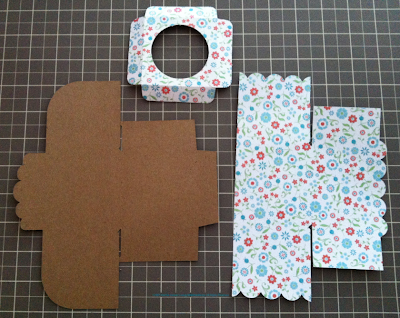 I folded all of the perforated lines then glued the tab of the craft cardstock piece to the floral cardstock to merge the top and bottom of the box together. 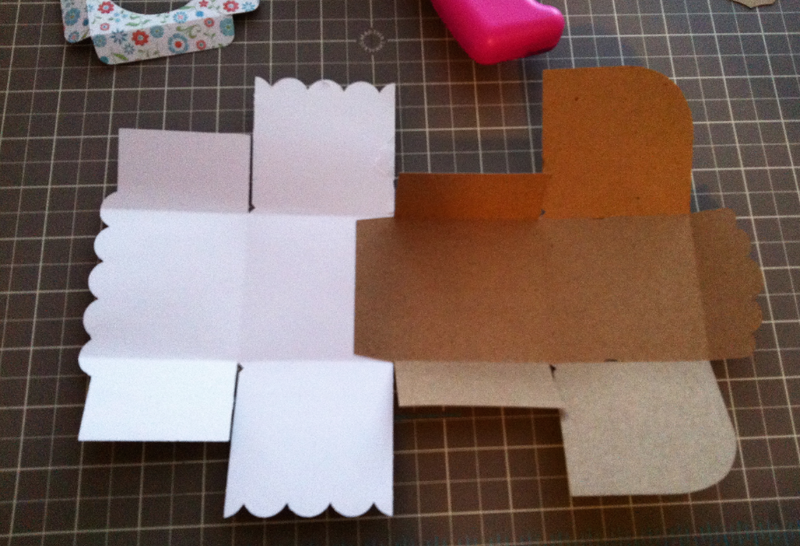 I then glued all the remaining tabs to complete the box. Once it was all together I jazzed things up a bit by inking up the edges using Tim Holtz Distress Ink in Festive Berries. I then placed the circle insert inside the box and added my yummy cupcake. The final touch to my project was a red gingham ribbon tied around the box to hold it all together. I couldn't be happier with how this project turned out. The file was so easy to cut and put together. 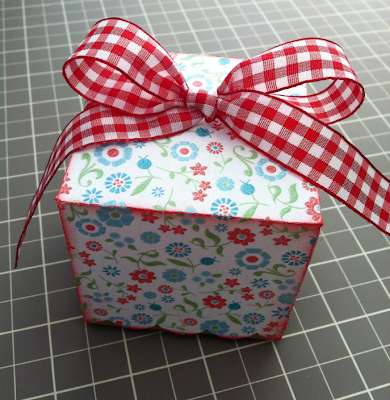 I can see making these boxes for every holiday, teachers gifts, birthday parties. They will put a smile on any one's face when they receive this special little gift. I want to say a special thank you to Samantha Walker Designs for letting me guest design this month. For more inspiration please follow my blog at http://www.crafttimeandcupcakes.com/. You can also follow me on Pinterest and Facebook.